Orlando Harpist: Thanks for your interest in my harp music for your event! I have been a professional harpist in the Central Florida area for over 20 years. I perform all musical styles from classical to contemporary to Celtic to country, and I love learning new songs. There are videos and a few song samples below. I am a preferred vendor at most Orlando event locations including hotels, resorts and golf clubs and I have the licensing and insurance required for the larger venues. I am honored to have received numerous wonderful reviews at Wedding Wire and The Knot. Please contact me with any questions and have fun planning your event! Christine did a wonderful job! Christine did a spectacular job! She needed no directions! It could not have been any nicer! Vicki, thanks so much for your kind words! It was an honor to perform for your son's wedding ceremony. The weather couldn't have been any better. I wish the newlyweds all the best in their new future together, and thanks again for including my harp music. I'm so happy I selected Chistine. She made planning effortless and she played beautifully for the wedding. Peaceful music, enjoyed it so much! Thank you for the kind words Christine, it was a real pleasure to perform for the birthday celebration! I will check in as the date gets closer for any last minute details. On the day of the event I will arrive 30 minutes before performance time to set up my harp. I bring my own chair (and harp!) so I do not require anything from the client. I also have a battery operated portable amplifier for large events. I play a huge variety of musical styles from classical to contemporary and I can adjust my song list to suit any event. I am always available to discuss questions or concerns to ensure the event is a success! 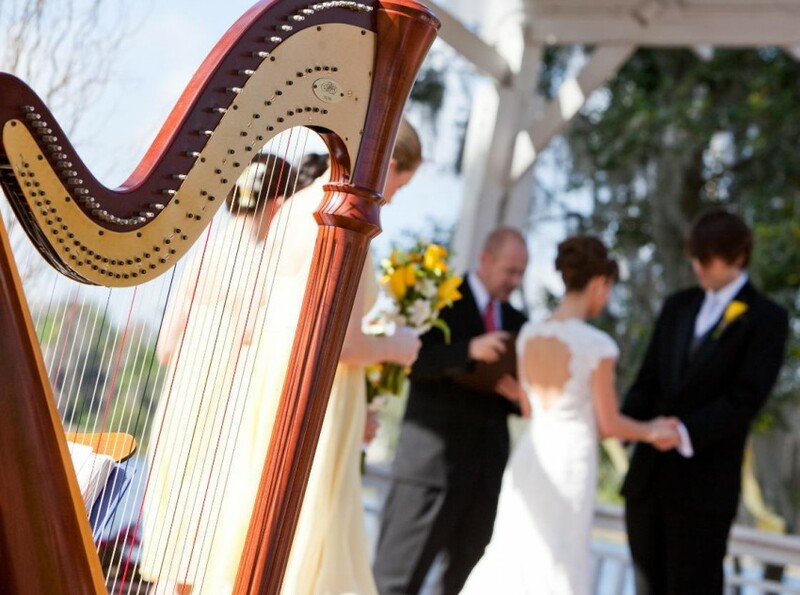 I provide live harp music for weddings and special events in Orlando and throughout Central Florida. I began playing the harp at age 6 and fell in love with the instrument's beautiful sound, and I have now been performing in Central Florida for over 20 years. I play all styles of music from classical pieces to contemporary love songs. I love learning new music, especially current hits such as songs by Jason Mraz, Bruno Mars, Adele, and Coldplay. I also enjoy playing standard love songs by singers such as Frank Sinatra, The Beatles, and James Taylor; country music by artists including Shania Twain, Kenny Chesney, or Tim McGraw; Disney melodies, Classical music and Celtic songs. 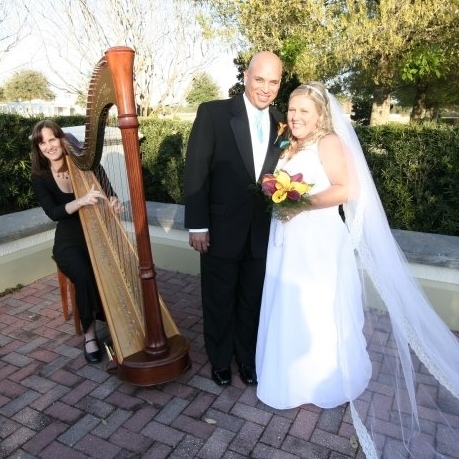 You can find me on social media at #orlandoharpist to see photos of previous events. I am honored to say I have a great reputation in the Orlando area. Most venues and wedding planners are familiar with my harp music and often refer me to their clients. I am included on the vendor list of many Central Florida locations and I have received numerous awards and reviews for my harp music. I would be pleased to speak with you about your event and answer any questions you may have. Thanks for your interest in my harp music! I bring my own harp and chair so I have no setup requirements.